One of the best things about living in Frederick, Maryland, is that you can always find something fun to do with your family. 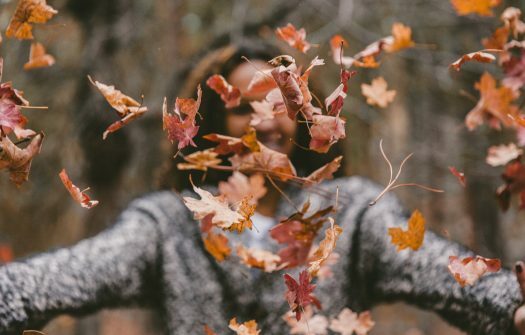 Even though summer has come to an end, you can still enjoy the beautiful outdoor surroundings or take advantage of fall festivals and sporting events. If you need some suggestions for fun family activities in Frederick, Maryland, here are five things to consider putting on your calendar. Frederick residents love to support their local minor league baseball team, the Frederick Keys, Class A Affiliate of the Baltimore Orioles. They host several promotions and giveaways throughout the season. What better way to say farewell to a fun summer than taking your family to a ball game? Frederick is host to a number of fun fairs and festivals. One of which is the Great Frederick Fair, held at the Frederick Fairgrounds. You and your family can enjoy some delicious treats, fun rides and games, live music, and see who gets a blue ribbon at the agricultural fair. A family that runs together stays together. In Frederick, there are a number of 5K’s and fun runs that take place in the fall. You can support a good cause with the Pink Ribbon 5K or get in the Halloween spirit with the Headless Horseman 5K and 1K fun run. There’s also a Turkey Trot in November so you can work up an appetite before the holiday meal with your family. During October, you can find several fun, spooky things to do in Frederick. Maryland. One of the more popular options is taking a ghost tour of Historic Frederick. The tour guides weave tales, combining history with horror, to create a tour experience that is both eerie and educational. Younger children may enjoy pumpkin picking at Summers Farm or Jumbo’s Pumpkin Patch. For the older (and more daring) crowd, you can visit Screamland Farms for truly frightening experience. You don’t have to enjoy the leaves changing colors from the window of your home or car. Get ourdoors with a family hike through Gambrill State Park, at the ridge of the Catoctin Mountains. With over 16 miles of trails, you can hike, mountain bike, or ride horses through the beautiful terrain. Frederick, Maryland offers a number of fun things to do every season for families to enjoy. It also offers several local attractions and convenient amenities for its residents. Keystone Custom Homes currently has two beautiful communities in Frederick, Maryland: Kellerton and Rocky Springs Reserve. If you are interested in learning more about living in Frederick, give us a call at (877) 699-2723 and speak to a member of our team.